Sports have always been a large part of my life. Growing up in a small rural town in west-central Wisconsin, there wasn’t much else to do. I was the youngest of four children, and my brother and two sisters excelled at multiple sports in high school. It was in my genes to be good and carry on the tradition. In high school, I knew there was something different about me, that there were feelings that I was experiencing that were strange. At the time, I couldn’t be sure what these feelings were. I knew I wasn’t the same as all the other kids. I saw life and sports as a community, but I never really seemed to be part of that community. Instead, it seemed that I was on the outside looking in. How could I carry on these traditions while being different? I studied meteorology at the UW. Madison was a complete culture shock. My dorm had more people living in it than the population of my town. Here I was able to understand and explore these differences I had been feeling in high school. I was able to meet my first gay person. I found out that there was a community for people like me, a place where I could feel accepted for who I was. It wasn’t long after I started to be comfortable with myself that I began looking for outlets to express myself. In 2005, a friend asked me to sub for a softball game. I didn’t blink an eye. I had been playing either baseball or softball since I was five years old. This was my first experience playing gay softball, though. It was a blast. It gave me a whole new perspective on sports. It opened up the possibilities of what and who I could be. I was later asked to be a regular player on the Madison Rough Riders team, which played in the Madison School Community Recreation men’s league. We were an openly gay team playing against heterosexual players. It was the first time I actually felt that I was part of the community, not someone on the outside looking in. We were always the underdogs. Every team thought that they could easily defeat us. As a team we worked very well together. We understood each other. We were a group of 12 guys that functioned as one cohesive unit on the field. We surprised a lot of teams along the way to winning our first league championship. During this time I met a great friend, supporter, and cheerleader: Felicia Melton-Smyth. Felicia’s spirit, pride, and attitude made the games exciting and meaningful. Felicia was involved with all the sports plus her charity campaigns. She was someone everyone wanted to be like. Two seasons later, in 2007, I was asked to play and coach in the SSBL-Madison Monday Night Softball League, which was expanding to 11 teams. I knew that this was an opportunity to pay it forward and create a welcoming environment like the one I had experienced. During my first year coaching the Pink Panthers, I met and bonded with so many new people in our community. I never knew that there were so many people that came together each week to be part of a community around the game of softball. I felt like I was at home. I knew at that time I wanted more. I wanted to share this experience with everyone. This inspiration led me to become the commissioner of the league in 2011. I knew as commissioner that it was time for Madison to have its own identity in the gay softball world. The board of directors decided that branding a new identity was the right path to success, and so the Badgerland Softball League was formed. 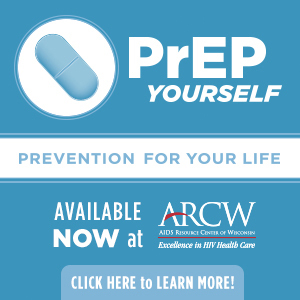 We became a registered nonprofit organization and applied and were accepted to be a member of the North American Gay Amateur Athletic Alliance. We expanded our league to have three divisions: Open Recreational (Mondays), Women’s Competitive (Tuesdays), and Open Competitive (Sundays). The Badgerland Softball League has been growing ever since. We welcome all player ages, skills, genders, and sexual orientations. 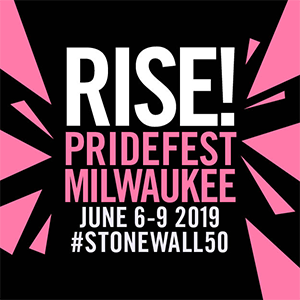 Our mission is that we are an LGBTQ and supportive alliances social organization structured around the sport of softball and designed to promote and advance the health, social structure, and equality of the Madison-area LGBTQ community. 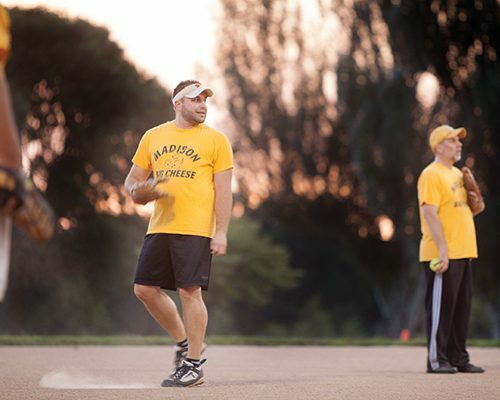 In 2012, we sent the first Madison team to the NAGAAA Gay Softball World Series in Minneapolis, and we are sending a team to the 2013 Gay Softball World Series in Washington, D.C. The league has grown and expanded to 25 teams across all three divisions and has an average of about 300 players. These leagues have created the community that I wanted as a kid. I now feel part of a group where I can excel as a player, coach, and leader of an organization.